2019: 2 races 12,080 metres completed. 2016: 6 races 49,943 metres completed. 2015: 1 race 16,090 metres completed. 2014: 4 races 23,470 metres completed. 2013: 12 races 152,560 metres completed. 2012: 11 races 123,143 metres completed. 2011: 15 races 188,193 metres completed. 2010: 12 races 128,226 metres completed. 2009: 17 races 253,978 metres completed. 2008: 16 races 211,315 metres completed. 2007: 18 races 219,062 metres completed. 2006: 13 races 159,649 metres completed. 2005: 11 races 261,895 metres completed. 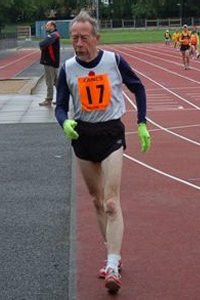 2004: 2 races 55,000 metres completed.